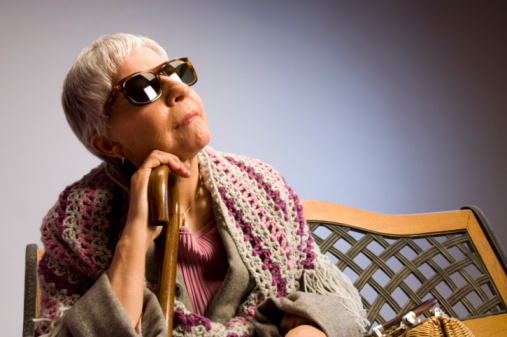 Home » General Health » Does Your Level of Disability Affect Disease Risk? Does Your Level of Disability Affect Disease Risk? An individual’s level of disability can be measured by some standardized physical tasks or simply by asking some key questions. Physical disability really suggests a decrease in your ability to perform the ordinary physical tasks associated with everyday living. The activities of daily living can also imply your ability to freely ambulate, lift, carry, climb stairs, drive a car, take transit, and look after yourself accordingly. Although there are various levels of physical disability and many reasons why people ultimately become disabled, your level of disability may also increase your risk of suffering from other diseases. Recent research has found that people who become disabled may fall prey to chronic diseases like diabetes. Researchers followed 22,878 healthy adults over the age of 51 for an average of eight years and assessed their level of disability and the incidence of diabetes. The level of disability was measured using a standard scale of mobility performance and graded as mild to severe. Diabetes was determined with a recognized diagnosis from a health care professional. The results of this controlled study indicated that there was a direct and dose-dependent relationship between the degree of disability and the risk of developing diabetes. In those subjects who were not disabled, the incidence of diabetes was 10.8 per 1,000. The incidence of diabetes in the remaining subjects varied depending upon the level of disability. Those who were mildly disabled had an incidence of almost 16 per 1,000, moderately disabled subjects had an incidence of 19 per 1,000 and severely disabled people had an incidence of 21.7 per 1,000. Disability is a direct indicator of how capable an individual is from a physical perspective. Although this study was controlled, and body weight was a variable that was accounted for, levels of physical activity were not. Previous research had indicated that physical exercise including cardiovascular activity and weight-training could not only help prevent physical decline but also decrease the risk of diabetes. The process of being disabled does not allow a person to be as physically active as they could have been otherwise. Hence their risk of developing other debilitating diseases like heart disease, arthritis, and diabetes increases. In this case, the thought was that chronic disease greatly increased the individual risk for disability. However, this research clearly indicates that the development of disability in previously healthy adults can indeed precipitate the development of diseases like diabetes. Here is another example of how regular physical activity can actually lower the risk of developing type 2 diabetes. This study also indicated another very important measurement. The risk of dying prematurely was also directly related to the degree of disability in the subjects. Those who were not disabled had a death rate of 10.8 per 1,000, mild disability was 19.5, moderate was 36.9, and those with a severe disability had a death rate which was 83.4 per 1,000! Those subjects who were severely disabled had a 63% greater risk of developing diabetes compared to those who were not disabled! Increasing your level of sedentary activity while decreasing your level of physical activity will increase the risk of developing diseases like diabetes. Even in the participants who were classified as being mildly disabled, their risk of developing diabetes was calculated as being 28% to 40% higher than in people who were not considered disabled at all. The important message from this research is that you must try to maintain and improve your own body’s functional capability by limiting sedentary behavior and becoming more active as you age. Tucker, M., “Functional Disability Ups Risk of Developing Diabetes,” Medscape web site; http://www.medscape.com/viewarticle/821263, last accessed March 4, 2014. Bardenheier, B., et al., “Association of Functional Decline With Subsequent Diabetes Incidence in U.S. Adults Aged 51 Years and Older: The Health and Retirement Study 1998–2010,”Diabetes Care. February 18, 2014.